50 Cent’s legal woes are starting to pile up … again. The family of the boy he bullied in a Cincinnati airport say they want the rapper to donate $1 million to a GoFundMe or they’ll file a lawsuit. 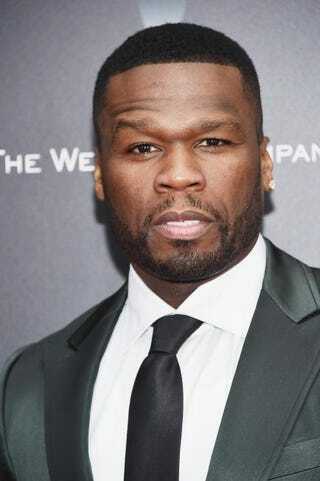 50 Cent filmed Andrew Farrell while he was working at the Cincinnati/Northern Kentucky International Airport and mocked him because he thought he was high at work. “The new generation is crazy. Look at him. What kind of s—t do you think he took before he got to work today,” the rapper said. Farrell’s father, Ken Kramer, told TMZ that not only does his son have autism and Asperger’s syndrome, but he also wears a hearing aid and has social anxiety issues. Kramer also told TMZ that his son had no clue who 50 Cent was. Kramer said that he still wants an apology and also issued something of an ultimatum to 50. Either donate the million they’re asking for to a GoFundMe or the family will file a lawsuit. Or is that extortion? In a statement to the New York Post, 50 issued an apology Tuesday night.